1) It would be nice if automakers would make the cars that we want: Chevrolet used to make the Venture, which we liked so well we bought two of them. It was comfortable, affordable, reliable, had eight seats, and got good gas mileage. We would have happily bought another one, but they don’t make them anymore. Our local Chevy dealer only carried other brands of minivan in their used car lot and almost no one makes a van with eight seats. Brilliant. 2) Dealers should know that we own computers and know how to use them: Thanks to the Internet, before we left the house we knew what car we wanted and every dealership within 50 miles that had one. We knew the Kelly Blue Book recommended price, and how much the dealerships wanted for them. Several dealerships seemed to have no clue that this technology exists. 3) Just because it looks like a van, doesn’t make it a van: One major brand advertises that they have the highest fuel economy in a minivan but when we looked into it, their minivan only has seating for five. Seriously? Our Aunt Gladys’ Buick LeSabre has more seats than that, it gets better gas mileage, and its big overstuffed leather seats are almost certainly more comfortable. 4) Comfy seats do not always make the sale: The dealer whose lot is literally across the street from our church was courteous and polite but failed in two ways. 1) They had nothing close to our price range because the vans on their lot were all loaded up with leather seats and all the extras and 2) while these vans were only a little more than we were looking for, they made absolutely no attempt to negotiate. We left. 5) Rudeness never pays: Downtown Ford in Canton offered one price online but when we asked how much the car cost, the saleswoman made two mistakes. 1) She nearly demanded that we drive it before she would tell us the price and when we insisted, she copped an attitude and gave us a base price that was $2500 more than the price quoted online. We left. 6) We don’t negotiate the price of most things, but we expect it when buying a car ANDsome of us prefer to pay cash: One dealership we visited had two, reasonably priced, low mileage vans that we liked. We test drove both of them. They wouldn’t budge on price and insisted that because they were a wholesaler they couldn’t negotiate. They did, however, try very hard to offer us a “better deal” if we would only take out a loan, despite our offer to pay cash. How is paying interest supposed to save us money? We left. 7) Being polite and helpful never hurt your business: The salesman at Greg Pruitt Honda met us in the lot almost as soon as we got out of the car, asked what we were looking for, and actually listened. He told us that they didn’t have any in stock but got several in each week and would, if we wanted, let us know when one came in. He was polite and helpful even though he knew he didn’t have what we wanted and also knew that we would continue to look elsewhere. I will almost certainly go back to their dealership the next time I am looking for a car. Interesting read, John. The retail automobile business is a dinosaur that needs to evolve or die. I sincerely hope that Tesla's efforts to chip away at the franchise laws in most states will force much-needed change is this horrible, abusive industry. I spent six horrible years trying to change it from the inside, and can tell you the worst stories you can imagine about auto sales abuses are only the tip of the iceberg.On the subject of auto financing: never, ever, EVER tell an automotive salesperson that you are a \”cash\” buyer. Finance represents a major profit center for the dealership, and losing the opportunity to make any revenue in the business office (the \”back end\” of the deal) means that they must make every effort to make up that deficit in the sales office (the \”front end\” of the deal). When pressed, offer only that you have your financing \”arranged,\” but that you will offer them the opportunity to win your financing business. Fill out a credit application, if they insist. Only after the final sales price is determined do you say \”we've decided to pay cash for this car.\” Chances are that they will pitch a fit and try to renegotiate; if they do, leave. 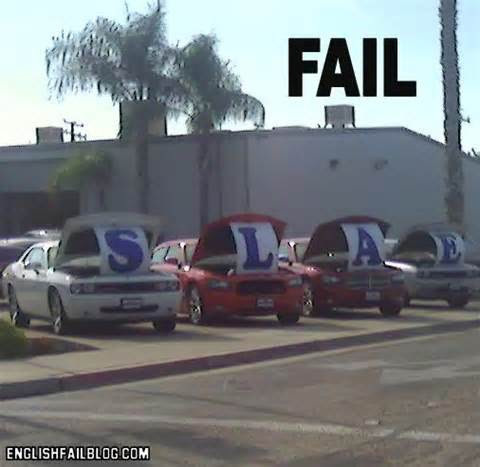 That is a clear sign that this was a dealership that does not deserve your business. One other observation about your comment concerning the woman insisted you drive the car first: this was almost certainly a policy instituted by her sales manager. Auto salespeople are universally told to follow a fairly tightly scripted sequence, and skipping the test drive would likely earn here a pretty harsh scolding from her boss.